The X4 Power Flash arrives Pre-Loaded with DYNO Proven tune files that INCREASE HORSEPOWER and TORQUE! 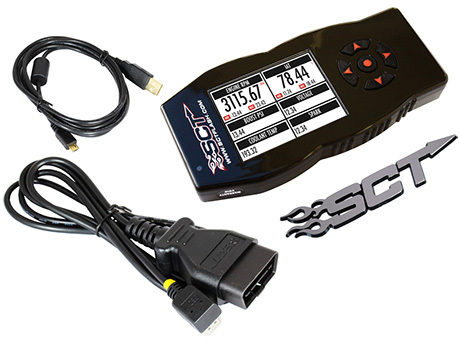 Programming your vehicle with one of SCT’s pre-loaded tune files is as easy as 1-2-3. Simply plug the OBDII connector into your vehicle’s OBDII port, select the pre-loaded tune file using the simple to navigate menu and within minutes the X4 programs your vehicle. I purchased this and when received was ready to plug and play.. Everything was already loaded on the tuner to the mods that I have and works perfectly..
Mike went over and above helping me fix a problem with an old X3 programmer. 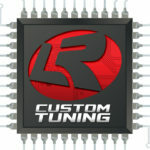 He quickly shipped me a new X4 programmer loaded up and ready to go—all I had to do was plug it in and download my tune. Car is back to running as it should and I’ll be able to make my race next weekend. Can’t say enough about his customer service, only one of the very few people I trust my cars with, thanks again Mike!